These special Pokemon can be earned through trading with friends. Pokemon Go players will soon be able to collect Lucky Pokemon with the help of friends. 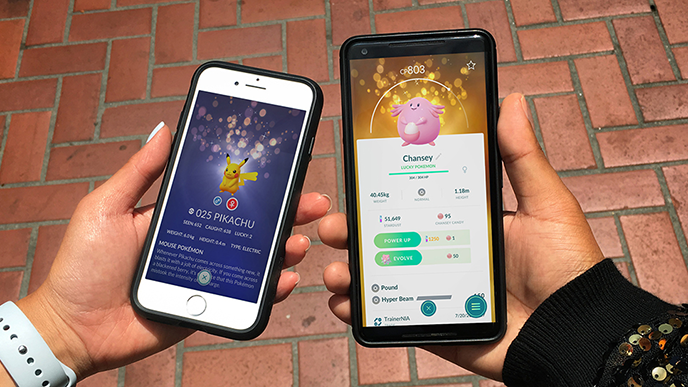 Once this feature launches, each time a player trades a Pokemon with a friend, there’s a chance that the Pokemon they trade away will become a sparkly Lucky Pokemon on the other end. These Lucky Pokemon require less Stardust (the game’s free currency) to power up. As a reminder, players need to spend Stardust and Pokemon Candy to power up their Pokemon, making them stronger for future battles. There’s no guarantee that trading a Pokemon will result in the creation of a Lucky pocket monster. However, the game’s developer did say that the longer a Pokemon has been owned by a player, the higher the chance of it becoming Lucky once it’s traded. In other exciting Pokemon Go news, players will now receive free experience points each time they send a gift to a friend. Gifts now also have the chance to contain Stardust. The game’s friends, trading, and gifting features were released earlier this year. As players interact with their in-game friends, their friendship level will increase. The higher the friendship level, the cheaper trades are to complete. That’s great news for players hoping to collect as many Lucky Pokemon as possible, as they made need to complete a lot of trades to get everything they want.